Haha what is your dog looking at?! 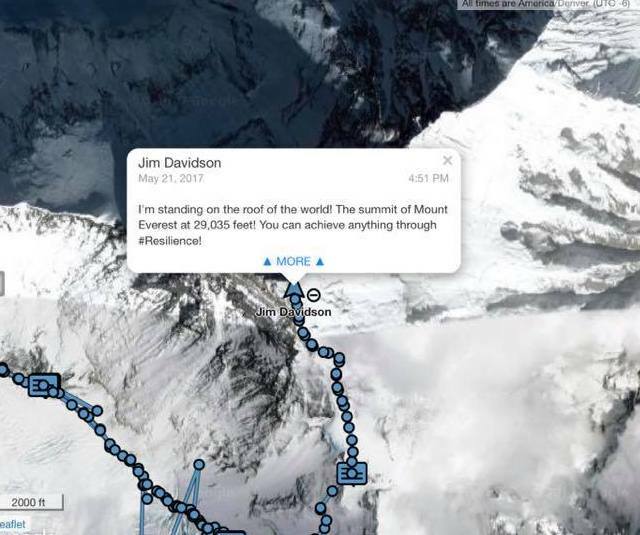 woops I see now its Jim’s summit! Jornet – 26 hours to ascend to summit from 5100m. With a stomach bug! The man is superhuman. 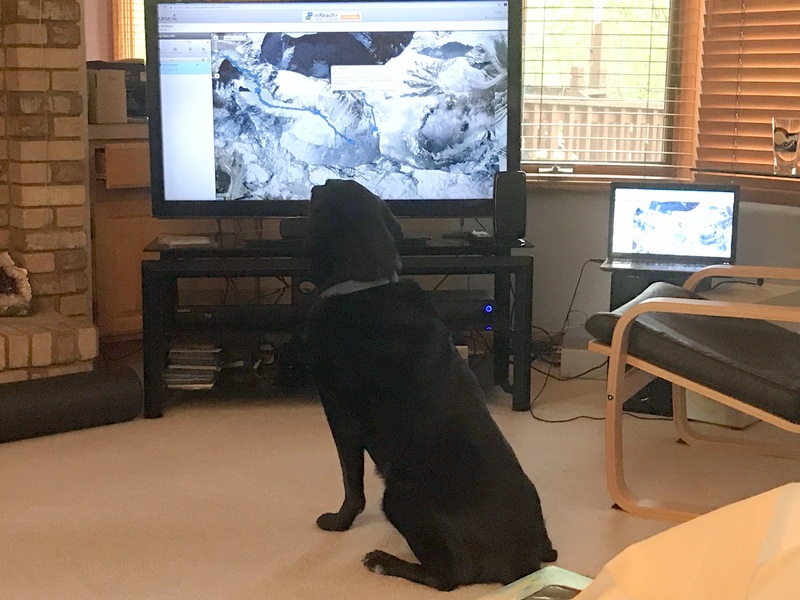 Not that I would advocate it, but just curious as I have followed Jim and Jake the wonder dog, has a dog ever summited Everest? I figured if anyone knew, it would be you! I have learned never say never about Everest, but to my knowledge, no dog has really summited Everest. 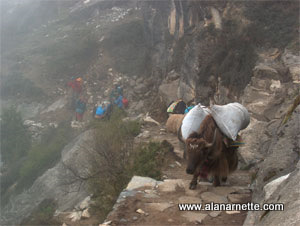 They have gone as high as Camp 2 on the Nepal side as I have seen them there – yes they cross the ladders. Eventually a kind Sherpa puts the hound in their pack and haus them back down. Hi Alan , thank you for your amazing coverage. Always excited to read your updates. In one of your prevoius posts, you seemed to question the credibility of the reports that the Iranian climber, Azim Gheychisaz, has summited all 8000s. Is there any fact or evidence based on which you can reject his claim? Whoa! It was just different language to say he accomplished. In one of your prevoius posts, you seemed to question the credibility of the reports that the Iranian climber, Azim Gheychisaz, has summited all 8000s. Is there any fact or evidence based on which you can reject his claim. The body of an Indian climber was spotted on Mount Everest on Monday, the fourth fatality on the mountain during a busy and tragic weekend on the world’s highest peak. Climbers from the United States, Slovakia and Australia also died on the mountain over the weekend. I have seen a report that the missing Indian climber has died and his body was found. Also, do we ever find out why these people, like the doctor from Alabama, die? Are people having extra trouble because of the weather? Thank you so much for your coverage. I hope one day to see Mount Everest in person even if just from a trek. It’s rarely 100% certain what the cause of death was, short of an autopsy. A lot depends on how the family wants to handle the matter. Eventually these incidents will be logged int to the Himalayan Database and the cause of death will show “altitude illness” unless the person fell, like the Indian climber, or was hit by an avalanche or died of a known illness. This blog used to be about information and facts. Now I sense it’s more about dramatic writing you’d find in a schoolroom. This is your second comment without a valid email, so this is the last comment I’ll accept.Thanks again for your feedback. Perhaps you have not been reading my blogs for the last 20 years 🙂 but this one is consistent with what I have always been doing. For simple straight news without analysis or commentary, my blog is not your best source. This is the only website where I have found proper information about Everest and Alan your blog is the only blog I read everyday. ? I don’t climb, I will never climb at my age, but it fascinates me. The sheer terror I feel when I watch someone above the clouds…wow. , But I sit and enjoy watching the dots and am thrilled when someone makes it, and makes it back down. Well done, Jim!